Big Sky Jazz Legends Litter Sold Out! Big Sky Country Music Legends Litter Sold Out! The video on the left is of Ticca, a 4 month old Mr. Cooper/Ms. Pepper ​Big Sky Lab pup. Kevin Hall is her owner in Washington State. Really nice work Kevin. That's a bird dog folks! Ms. Pepper is a full sister to DeCan's Baby's Got Her Blue Jeans On, aka Ms. Blue. Goes To A Wyoming Veteran! Thank You For Your Service Branden! Thank you for your service Mackay! Meet Sgt. (Retired) Mackay Mathiason and his beautiful family. 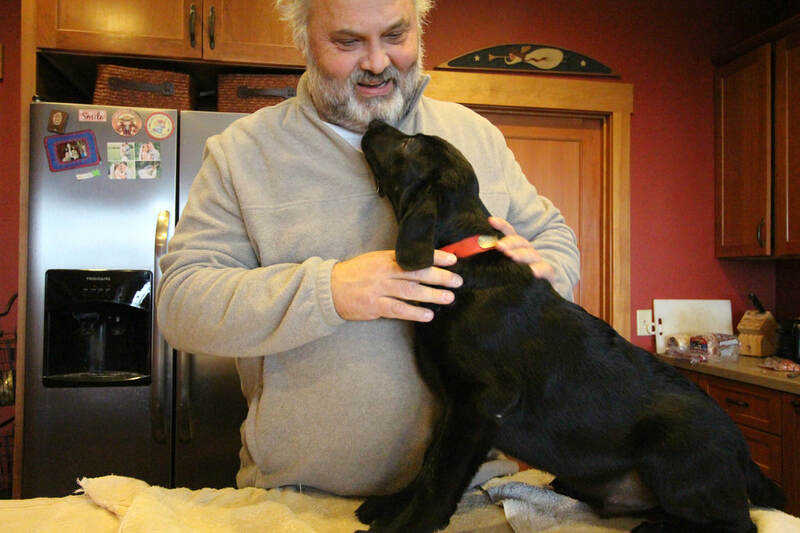 Mackay's crew drove from Billings to Missoula,MT to pick up their new Labrador Retriever pup, DeCan's Big Sky Lincoln. Sgt. Mathiason served in Mosul Iraq where he was severely wounded. He received multiple commendations and The Purple Heart for his service. 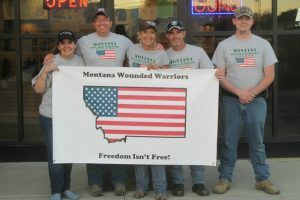 Big Sky Labs has recently gotten involved with The Wounded Warriors of Montana. 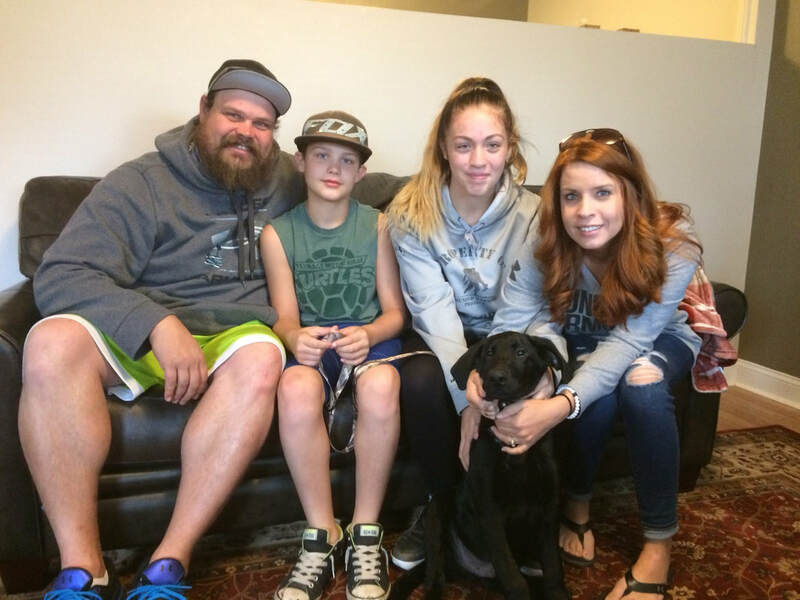 The Mathiason family was the first to receive a free Big Sky pup. We hope to give more pups in the future. This entire family has sacrificed for our country. Thank you for your service Mathiason family! What Makes A Big Sky Lab Great? ​If you want a great bird dog, get a dog from great bird dog lines. 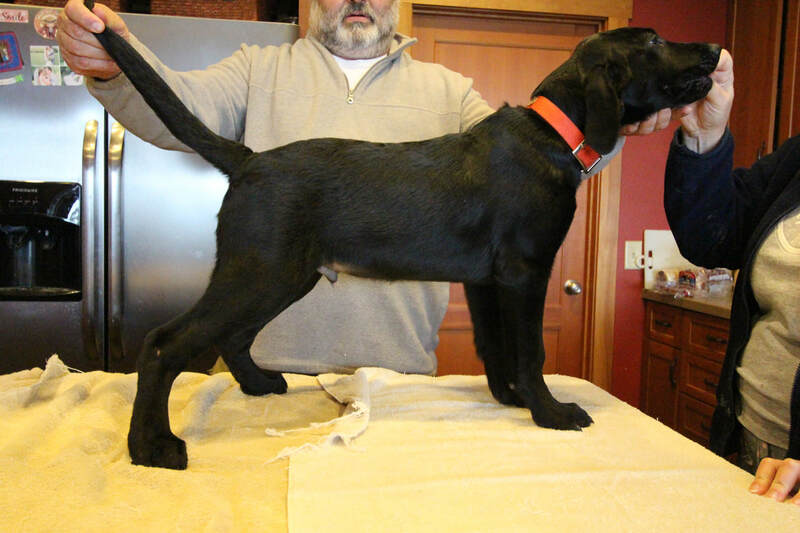 The only way you can truly know that the sire and dam of your pup is a great bird dog is to either hunt behind them, or to look at the pedigree and titles behind the dog. Great field trial retrievers have been rigorously tested and their offspring can be counted on to carry these same genes. It's just that simple. Taking a Labrador Retriever through a field trial championship is an amazing accomplishment that take years, and $1,000's of dollars in training and campaigning expenses. When the dog becomes a National Champion, you have a one in a million Lab. Bottom line is that when you want a great field Labrador Retriever, go to the great field trial lines to get a great bird dog. At Big Sky Labrador Retrievers the linage of our bird dogs is as good as it gets. ​The second part of the equation for Big Sky Labs is family. Every week I get a call or two from people who have recently lost their best friend or hunting partner--a cherished Labrador Retriever. At Big Sky Labs we believe that the best way to recover from the loss of one of these great dogs is to get a great Lab puppy. A pup that was bred for the field, but also bred to be a devoted family friend who is able to wind down in front of the fireplace or lay his head in his master's hands for a little rub behind the ears. 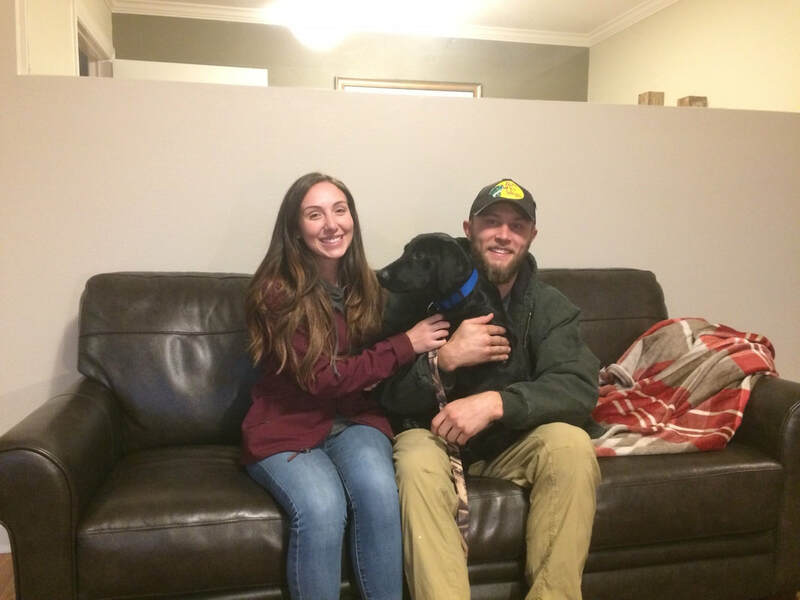 We so enjoy being able to send these special people home with a new friend, not to replace their old pal, but to move-on, and begin enjoying life again. It's important for you to know that we sell Family and Field Labs. We sell a lot of pups to loving, non hunting homes. Can I tell you a secret? I've never met a Lab who was distraught about not going hunting, if he was loved and cared for by folks who thought he was great. Tennis ball or pheasant, a Big Sky Labrador Retriever is a dog for everyone in the family. Todd's pup Moxie out of the Cooper/Pepper breeding.